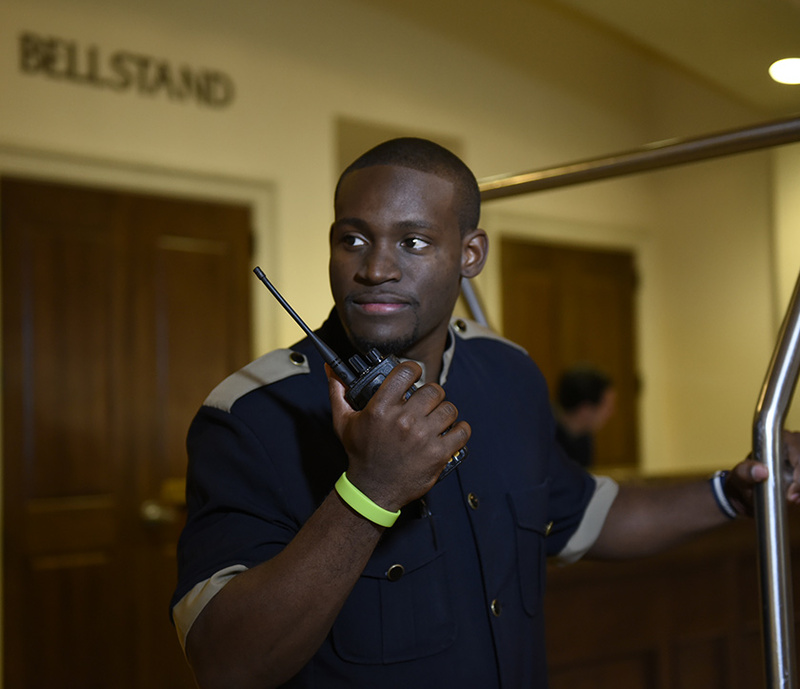 There are many advantages to equipping event staff with walkie talkies. Having a line of communication that is one-to-many keeps work teams connected, more efficient, and can even save lives of those attending your event. When looking to rent, here are a few important questions to ask yourself in order to properly equip your team. Which radio should I rent? Coverage, usage, and personal preference all come in to play when looking to rent. Due to its size, the EVX-S24 radio is the most popular radio and is easy to use. The CP200d is also another good option and will give you extended coverage. For larger events, the XPR7550e is a durable option that gives users more options when it comes to their system setup. Will my staff need radio accessories? Quite often staff members will need to use a radio hands-free. There are many options users have when renting with Radio Resource. Speaker mics work great for users on the go looking for a rugged solution. Surveillance kits offer a lightweight and discreet look for staff members looking for an in-ear option. Will I need a repeater for extended communication? Some larger events may require repeaters to expand coverage of their radios. Renting a repeater and setting it up is quick and easy with our rental fleet. Some large bike races or events in multiple buildings can benefit from renting a repeater as well. Coverage will depend on the geographic location, topography, and event type. Ask our rental team here if suggestions are needed and check out our YouTube page to see how to set up a Radio Resource rental repeater and get radio usage tips. If you are considering renting radios for your event, feel free to give us a call at 303-987-1545 and we can help find a communication solution for you! Call box solutions provide a reliable way for employees, visitors, or customers to get in contact with a monitoring station or two-way radio user on property. Quite often, call boxes are found on school campuses, shopping centers, hospitals, and many other businesses. These call boxes can be easily integrated within two-way radio systems and gives users a reliable, affordable, and instant way to communicate. Both analog and digital two-way radio users can deploy this solution to enhance the safety, security, and communication within their businesses. Most call boxes work exactly like a two-way radio: Push to talk and release to listen. Other enhanced features are also available depending on the type of call box. Some call boxes have built in chips that allow monitoring personnel to identify which call box the notification is coming from. Because of this feature, monitors can respond quickly and go to the area of the call if help is needed. Call boxes can be solar operated as well so parking lots, remote locations on property, and other hard to reach places can stay connected in a time of need. Tamper and vandal resistant features make this solution safe to deploy in any area. Some call boxes available are weatherproof so damage from inclement weather isn't a factor. These solutions can be either wall mounted or free standing. The variety of call box designs gives users many different options on how and where they can deploy this solution. There are many different high quality call box solutions that can fit your communication needs. Motorola Wave OnCloud is a simple way to stay connected with your work team using your smart device. WAVE OnCloud give users PTT communications, location services, photo/video sharing and much more. WAVE is a push-to-talk solution that connects your work team across different networks and devices. WAVE users can connect using just their smart devices with the app that is compatible with both IOS and Android phones and tablets. Users can pay a month to month subscription or subscribe annually. It’s as simple as activating an account and downloading the app! WAVE also offers a dispatch solution as well. This dispatch application is ideal for trucking companies or any company looking to track their fleet state or nationwide. Log into any internet connection a see where your team is at with location and mapping. WAVE dispatch lives in the cloud, so you don’t have to worry about losing any information on your PC or phone if something was to happen to your device. Current MOTOTRBO users can integrate WAVE into their fleet of two-way radios. 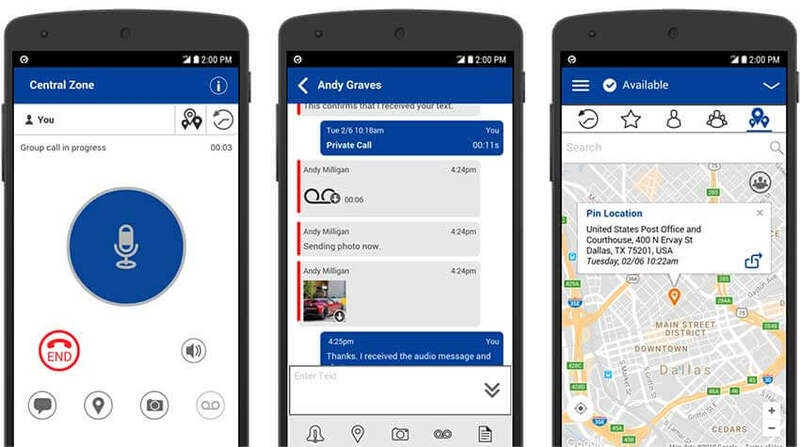 With WAVE, users can stay connected whether they are on their radio, phone, tablet, or computer. No matter how many work teams, users, or the location...WAVE can help your team stay connected. In order to see WAVE and its features, there is a FREE 30 day trial where you and your team can test out this product and see if it is the right communication solution for you. Team communication in the hospitality industry is vital when it come to operations, guest safety, and guest satisfaction. Two-way radios have proven to be a great one-to-many solution in keeping staff members on the same page. 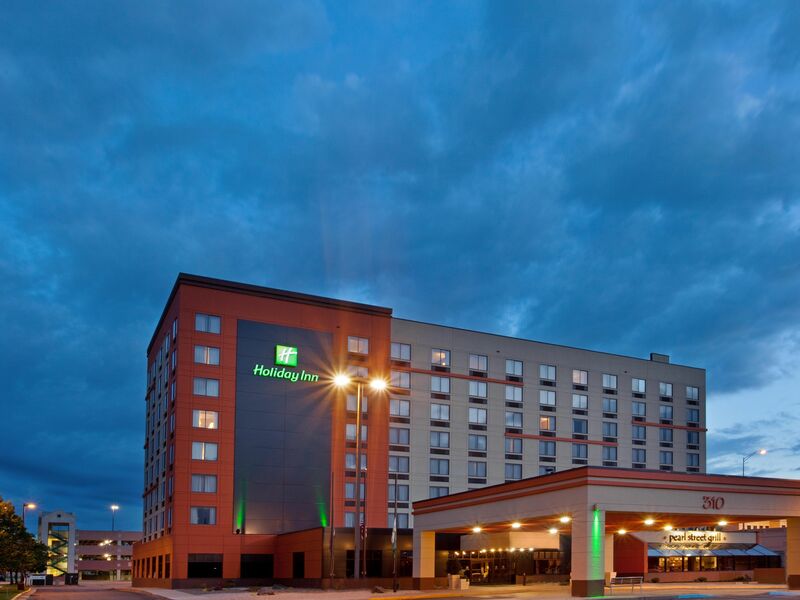 Whether a hotel has 100 rooms or 1000 rooms; keeping management, housekeeping, engineering, and other departments on the same page is critical for daily operations and emergency situations. Typically, smaller hotels find the Motorola EVX-S24 to be a great fit for their operations. It’s display screen easily tells users which channel they are one, and one to one calling is available as well. Generally smaller hotels will see this radio give them coverage easily throughout their property. Another great option is the Motorola SL300 radio. This slim radio can easily fit into a pocket, and boasts an LED display screen as well. These 3-watt digital radios tend to be favorites due to their size, functionality, and clarity of audio. Other radios such as the XPR7550e and SL7550e offer advanced features for radio users and allows them to improve their communication situation as well. Larger hotels may need to operate their radios using a repeater system in order to expand their coverage. Quite often, a hotel needing many different repeater channels may choose to operate using Capacity Plus Trunking. Other systems such as IP Site Connect and Capacity Max can all assist larger operations with multiple sites and a large number of workers. Investing in two-way radios is a big step for any business, school, or facility. It’s important that as an end user, you know which two-way radios, features, licensing options, and systems are available to you. Too often businesses looking to buy radios are emailed a price list and a spec sheet from a vendor and expected to make a decision without handling the product. Or, they are pushed towards a certain radio model even though it may not be the best fit for their operation. Buying FCC licensed two-way radios for your team is more than just being sold a box with a radio in it and having to figure it out on your own. Factors like location, building size, industry, and user preference all come into play when finding the right radio for your team. Depending on the type of radio, there are many different features that can enhance your operations. Having a go-to partner that is willing to come on site, test radios with you, and be your communications consultant is important to make sure your two-way radios or radio system operates correctly throughout your day-to-day operations. The relationship shouldn’t end after the sale either. Your communications partner should be there handling warranty repairs, reprogramming, and assist you when you are looking to expand your radio fleet and make adjustments in the future. Here at Radio Resource, we offer more than just "box solutions", we offer personal communication solutions fit for your specific operations. If you are interested in having one of our representatives come on site in the Denver Metro area, we would be more than happy to help you find the right solution. 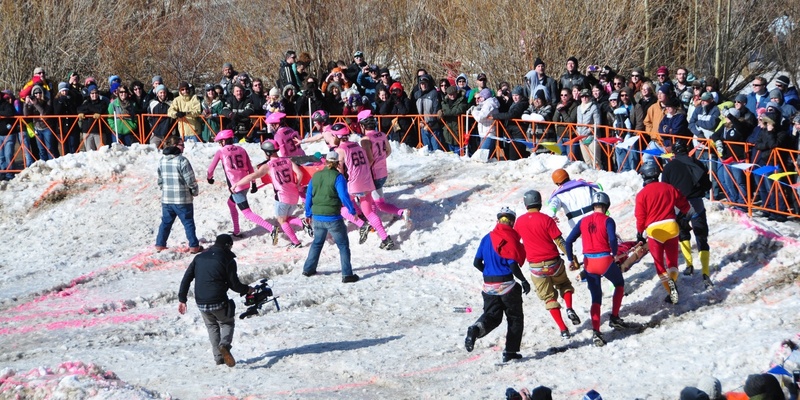 Winter is coming and many different cities throughout the United States will be holding annual parades, festivals, and events. During these special events hundreds or even thousands of employees need to be on the same page to make sure operations are running smoothly. Two-way radios give you the ability to have a line of communication to multiple people at a time. No matter the location, two-way radios can be deployed and trusting in tough communication environments. Some events may be large enough were a repeater may be needed. This repeater will give you extended communication with your two-way radios. Whether you are in need of communication in a hotel, main street, or event center two-way radios can give you connectivity on the go. If your event staff or team is not equipped with two-way radios and only needs them for a short amount of time, renting radios can be the way to go. At Radio Resource, we have a large rental fleet full of durable, compact, and reliable radios. Radios can be rented for a day, weeks, or even months. Within our fleet we have a variety of options, and would love to assist you with your event. 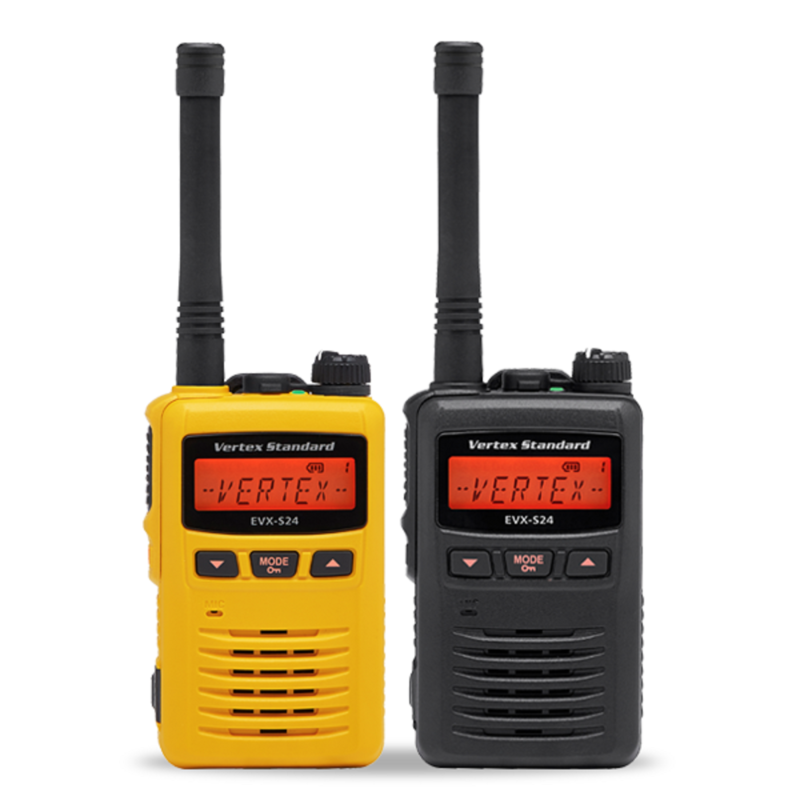 Radios like the CP200d and EVX-S24 are among some of the favorites in our rental fleet. We serve special events around the United States year round and we would love the opportunity to assist you. Two-way radios are a great addition to businesses that need to keep their team connected. With two-way radios, there are a many earpiece and surveillance kit options. How can users know which will fit them and their operation best? One of the most common accessory options for radio users are the surveillance kits. Most commonly, radio users tend to prefer the one or two-wire kits. What’s the difference you ask? With the one wire option, both the PTT button and earpiece are a part of the single wire. With the two-wire, the PTT button and the earpiece are each on their own wire. Earpiece options like the Coil Tube, Ear Hook, and the D Ring are the most common among the various choices. Surveillance kits allow radio users to transmit and receive radio chatter through a headset. This works great for different industries such as hospitality, healthcare, construction, and many others. For noisy environments noise cancelling surveillance kits have proven to be effective in blocking out background noise so users are able to transmit more clearly. Speaker mics can also be a great option for users in the construction, manufacturing, and even education industry. 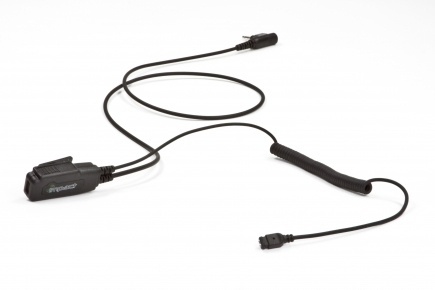 Some speaker mics even have the option to plug in an earpiece so users can better hear the radio communication if they are in noisy environments. Assisted Living Communities are responsible for the well-being, health, and safety of its community members. Creating a welcoming, organized, and safe environment is important to any type of community. One important piece of organization and safety is instant communication between staff, medical, and facility managers. Motorola Solutions offers many different two-way radio solutions that can enhance team connectivity and help create a safer environment for all types of assisted living communities. A radio like the EVX-S24 is a smaller radio that is a great push-to-talk solution that is lightweight. This radio offers emergency features, scanning, text messaging, and has a great IP rating. A radio like the XPR7550e gives users advanced features such as GPS tracking, text messaging, and the ability to do multiple types of trunking. Quite often, larger communities will need a repeater for their building to enhance the coverage of their two-way radios. When it comes to emergency features and advanced solutions, Motorola Solutions two-way radios and applications offers a wide range of options to fit your radio needs. The Motorola EVX S24 is compact, discreet, and lightweight. This radio is commonly seen in schools, small hotels, and other operations looking for a smaller two-way radio that is easy to use. This radio gives off great audio quality and can operate in analog or digital. Another great feature of this radio is that it's water submersible up to 3 feet for 30 seconds. EVX S24 users also have multiple scan options available and an emergency/lone worker feature as well. Its 8-character alphanumeric display allows users to see what channel they are on and how much battery life they have. This radio can easily fit into a coat pocket or be clipped onto a belt. Operating in digital, users can send text messages and utilize private or group call. Users can choose between black or yellow casing on the radio as well. Previously this radio was know as the Vertex EVX S24 and has recently been rebranded to Motorola in January 2018. © 2017. Radio Resource Inc.
Motorola Solutions Radio Solutions Channel Partner Denver, Colorado.